Wheel yanking power will be unleashed when you squeeze the trigger on the Pistol Grip Controller. 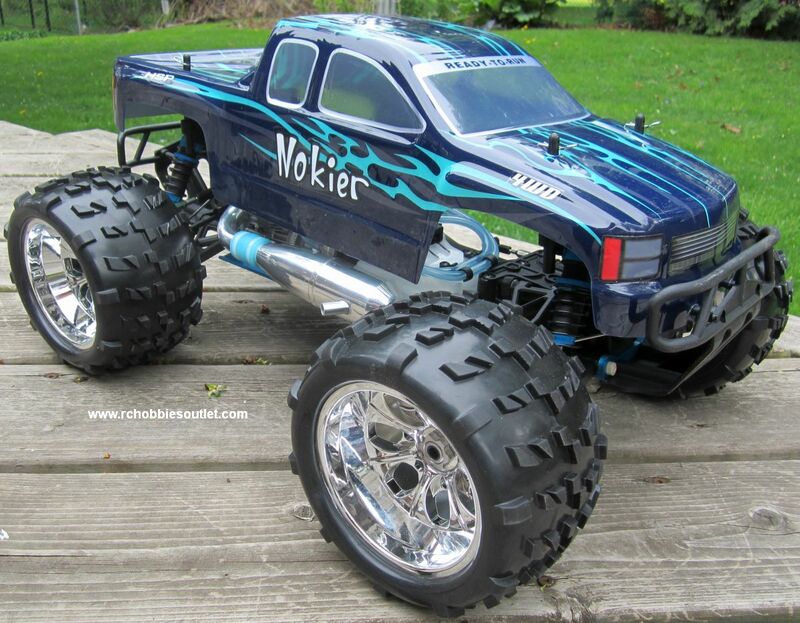 This RC Monster truck is built tough to take it, with a heavy duty suspension, upgraded components , and huge soft compound RC off-road tires the allow you to trample the toughest terrain. 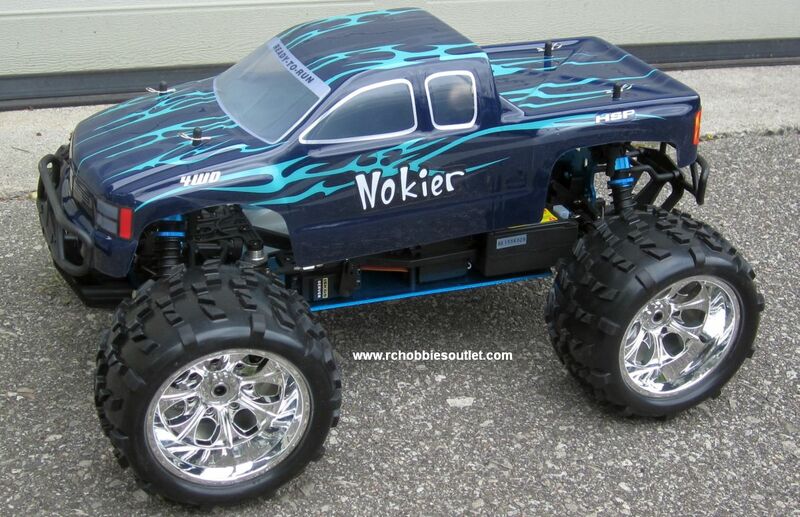 Its 2 speed automatic transmission provides it with race winning speeds. The new 2.4 Radio means longer range, no crystals, no external interference and no interference from other cars. The intelligent digital radio automatically switches between different channels so you will never have a car on the same channel. Another advantage is that there are no aerials to snap on the car and transmitter, and the 2.4G receiver comes with a built-in failsafe functionality (avoids need to purchase separate Failsafe for $14.97+). 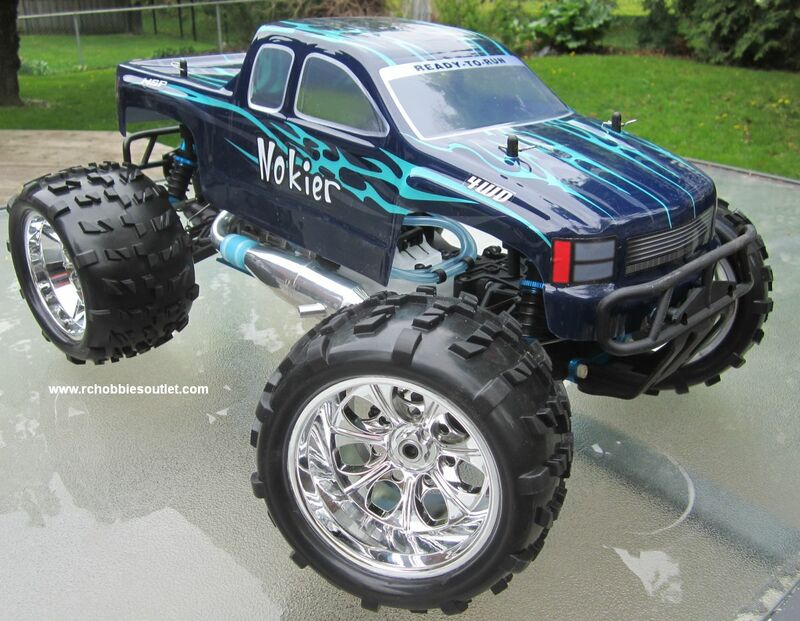 This RC Radio Control Truck comes 100% fully assembled straight out of the box with a fully painted body.